Divorce Recovery Workshop is a self help group run by volunteers to encourage personal growth and development for individuals going through the divorce process. The volunteers have experienced the breakdown of relationships and provide support by sharing their experiences and thoughts. Set up in the 1970’s in the US, Divorce Recovery Workshop first ran in the UK in 1992 and now have an established network across the country. With a high level of divorce in Devon, Divorce Recovery Workshop are launching a newly formed support programme in Plymouth. Based at the Plymouth Science Park, the first workshop is being help on the 15th and 16th November, running from 10am on the Saturday and finishing at 5pm on the Sunday. The Family Law Company understands how distressing the divorce process can be. Workshops can be a great method for interacting and engaging with like minded people who can offer the help and support needed. 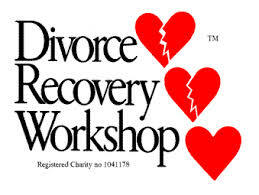 To find out further details, visit the Divorce Recovery Workshop website by clicking here.